Business cards are crucial to establishing and maintaining both client and customer relationships. Velvet business card printing presents your company's name and information on a smooth, soft, and luxurious surface. Velvet soft touch business cards highlight your name and company on a surface that is soft to the touch and luxurious in appearance. 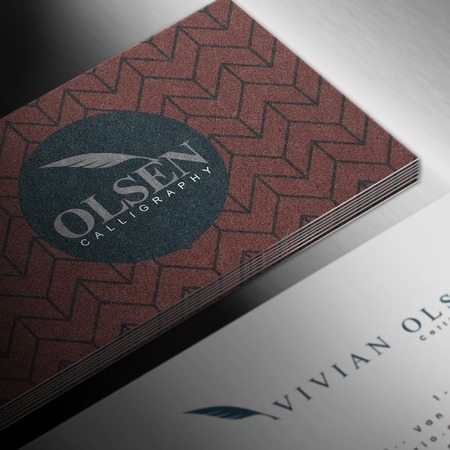 These are also referred to as suede business cards, given the suede-like texture it provides on the printed surface. Appearance isn't the only feature that stands out with suede business card printing though. The velvet lamination increases the cardstock thickness from 16 pt. to 19 pt., ensuring more durability in the long-run. You can complement the velvet finishes by applying spot UV on one or both sides of the card. Spot UV coating can be applied on specific parts of the soft touch business cards, such as your company logo and contact information. The result is a glossy surface that is slightly elevated, further highlighting the premium appearance of your soft touch business cards. Have your velvet business cards printed in the standard 2" x 3.5" size or stand out with a square 2.5" x 2.5" dimension. You can opt for the classic square shape or the more modern look of rounded corners. We offer an ample radius size of 1/4" for larger business cards or the smaller 1/8" for a minimalist look. Upload a ready-made design on our order form or use our online tool to avail of our velvet business card printing service.